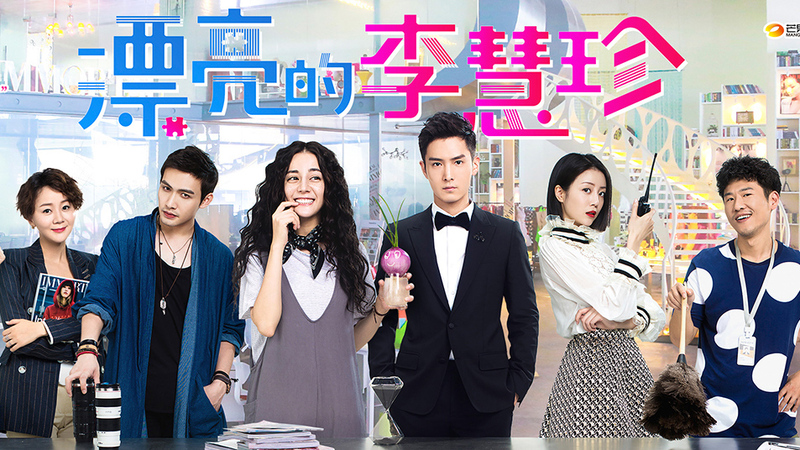 Pretty Li Hui Zhen / 漂亮的李慧珍, a Chinese remake of one of our all-time favourite dramas, She Was Pretty, has just come out this month. 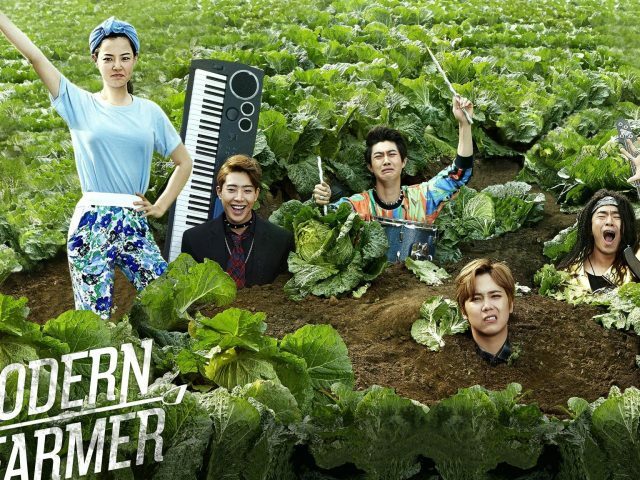 We’ve caught up with four episodes; and so far, Pretty Li Hui Zhen just isn’t as exciting, lively or as funny as the original. Story-wise, Pretty Li Hui Zhen is similar to She Was Pretty. Li Hui Zhen (Dilraba Dilmurat) was a pretty girl, but all grown up, she’s no longer pretty. The difference in appearance between then and now is what causes Bai Hao Yu (Sheng Yi Lun also known as Peter Sheng) to pass her by during their reunion 12 years later, going for Li Hui Zhen’s best friend because she fit his last image of her the best. It looks like the drama’s decided not to focus on the themes of finding the hidden picture or shining light on background characters like She Was Pretty did in its story. This theme was very well conveyed with the use of Pierre-Auguste Renoir’s Dance in the Country painting young Kim Hye Jin and Ji Sung Joon worked on. When they grew up, it continued to be a game which Ji Sung Joon needed to play in order to discover the one he’s looking for. Supporting characters were made to play this game, the audience was made to play this game, too. There was a subtle attempt to break stereotypes. It’s still pretty early days yet with Pretty Li Hui Zhen only having a handful of episodes out, but we’re guessing this theme, its attempt to break stereotypes won’t be so loudly conveyed in the Chinese version—or at all. The drama’s used a different kind of painting. It has a couple of characters—looks like it’s of a boy and a girl—at the bottom of the canvas, hand in hand as they walk the path ahead. 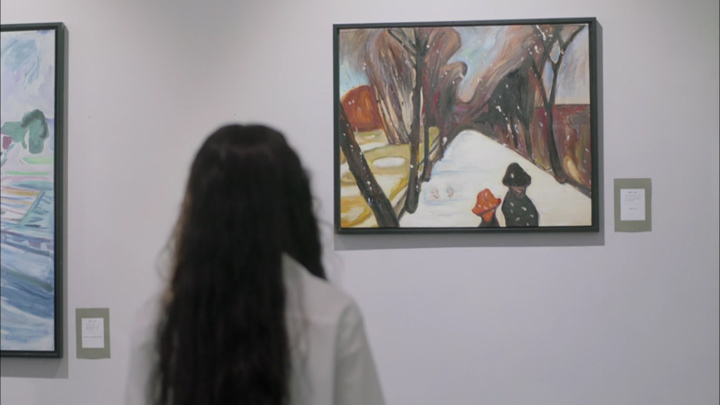 In the puzzle replica of the painting Bai Hao Yu has framed at his place, it’s missing the piece to the girl which Li Hui Zhen has. Guess his game is to find that missing piece so he can continue walking down the path with her together. Pretty Li Hui Zhen’s story should still be worth seeing unfold, but it will lack that little bit of substance She Was Pretty had which made it all that much greater for us if there isn’t some kind of theme going. Character personalities and relationships have been changed quite a bit in Pretty Li Hui Zhen—namely, Li Hui Zhen’s personality; best friend, Xia Qiao’s personality; and the Li Hui Zhen-and-Xia Qiao relationship. Li Hui Zhen doesn’t have the same kind of can-do, gusto attitude as Kim Hye Jin’s. The relationship between Li Hui Zhen and Xia Qiao is like a pathetic, geeky little sister Xia Qiao needs to do things for because she a much cooler, prettier sister who can do this for her. Xia Qiao also has this air about her where she’s on a step above her. She’s been seen to roll her eyes at Li Hui Zhen’s ways and went about making fun of Li Hui Zhen’s appearance. Just for fun, Xia Qiao decides to randomly do her hair up like Li Hui Zhen, curling her short hair and drawing on freckles before laughing at the image in the mirror. 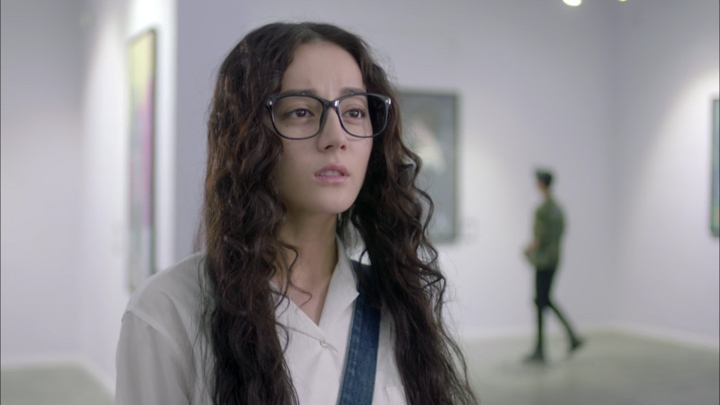 This was supposed to be a cosplay of Kim Hye Jin and was supposed to be humourous, which it was, but it doesn’t help make us see that Xia Qiao actually looks down on Li Hui Zhen. In contrast, Kim Hye Jin’s relationship with her best friend, Min Ha Ri, is on a very even level. Min Ha Ri doesn’t look down on Kim Hye Jin (Hwang Jung Eum) at all. In fact, she’s the first to scold anyone who makes a stab at Kim Hye Jin’s appearance and will lose them in a heartbeat the moment she hears anyone talk badly of Kim Hye Jin. We love that about her. What’s more, if we were to pick who had a more subordinate position in the friendship between Kim Hye Jin and Min Ha Ri, Min Ha Ri actually comes off as being in that subordinate position. 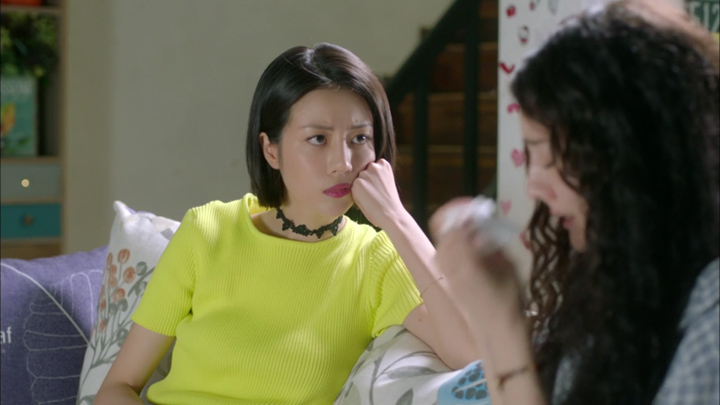 Since this drama is supposed to follow the story of She Was Pretty, we’re thinking Xia Qiao probably shouldn’t do anything to betray the friendship, but it wouldn’t be a surprise if Xia Qiao did go that way. We don’t think it will, but the bond portrayed right now just isn’t as strong as the one portrayed in She Was Pretty. Humour. If you enjoyed the style of the humour in She Was Pretty like we did and was wondering if this remake is as laugh-out-loud funny as She Was Pretty was, sadly, it’s not. We were looking to see how the scene where the Kim Hye Jin gets tripped up by Kim Shin Hyuk (Choi Siwon) which causes Kim Hye Jin to think she lost a tooth will be interpreted or changed, but it just gets cut out. We were also waiting to see the scene where Ji Sung Joon (Park Seo Joon) drinks from a vase or unknowingly walks into a glass door. Ji Sung Joon’s counterpart, Bai Hao Yu doesn’t almost drink from the vase where we got up to, but he does walk into a glass door, but the humour isn’t there. It was how Ji Sung Joon hit the glass so hard he falls to his bum before brushing off the fall like it was nothing that we found so funny. These little humourous traits which are not typical of a handsome, dashing, supposedly serious character, is actually what makes the male lead interesting. Cutting these traits/funny moments out not only lowers enjoyment factor, but makes Bai Hao Yu boring. The kind of humour that’s in this drama is having (for example) Xia Qiao being obvious about recording her meeting with Bai Hao Yu by wearing a huge earpiece in her ear, but it’s not noticed by Bai Hao Yu; or having Li Hui Zhen randomly taking a seat on second male lead character, Lin Yi Mu (Zhang Bin Bin) motorbike and not finding it anything wrong with it. 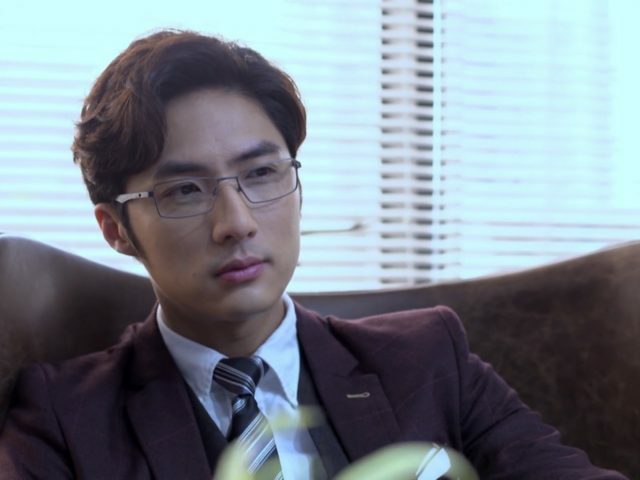 (Lin Yi Mu is Kim Shin Hyuk’s counterpart.) Another example is having Li Hui Zhen stuff a bit of paper in her nostrils and sneezing it out. The series’ kind of humour makes us chuckle, but definely not laugh to the point it’s hard to stop. Anyone who’s watched Pretty Li Hui Zhen, does anyone find Bai Hao Yu stiff and emotionless? It’s a curious interpretation of Ji Sung Joon. We can’t grasp the kind of character Peter Sheng is trying to get across. When he smiles, his eyes don’t smile; it’s rather controlled. Dialogue which sounded like they should be full of curiosity is delivered like someone running through their lines. Right now, we’re not liking the interpretation. It’s not grabbing us and making us like him; but then, this drama is yet to really get into the story. We’re going to just wait and see where he takes the character. We’re not sure how far we’ll get with this one. We’ll probably finish it as we still expect the development of the story to follow She Was Pretty, and we do love the story and want to see how it develops in this remake. We did a search around for how long this drama is going to be. It looks like it will be 40 episodes, each being 43 minutes long (minus credits). She Was Pretty was 16 episodes, with each one being 62 minutes (credits taking neglible time). By our calculations, that would make the Chinese version under twice as long. Wow. Let’s see what new material, if any, will appear. For the story set-up of the Korean drama Li Hui Zhen (2017) is based on, read our the story set-up for She Was Pretty here.